Syrian troops are making steadfast advances along the west bank of the Euphrates and ousting Islamic State, the Russian Defense Ministry said. 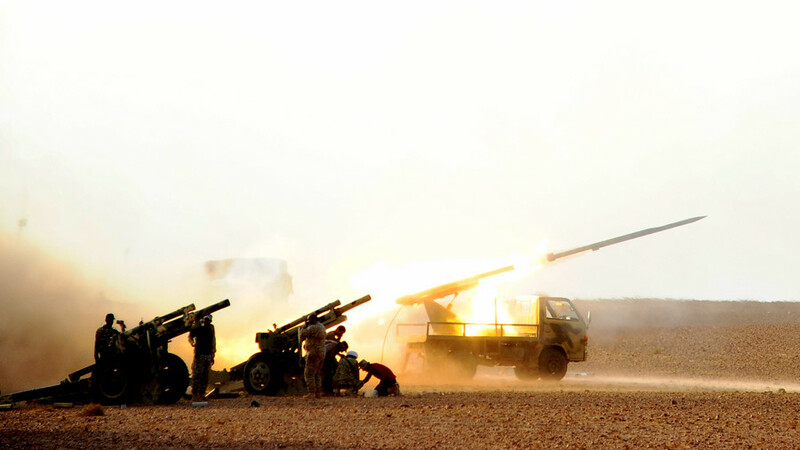 The news comes after a series of major defeats for the jihadists, close to being wiped out in eastern Syria. The Russian Defense Ministry said on Thursday that the eastern part of Syria will soon be fully liberated by government forces. This will mean defeating the last remaining Islamic State (IS, formerly ISIS) units holding swaths of land west of the Euphrates. “Syrian army units led by General Suheil al-Hassan and supported by the Russian Air Force are chasing and destroying terrorist groups in the Euphrates valley, moving forward along the river’s west bank,” the statement said. Al-Hassan, whom the ministry called “a legendary general,” is known as a top Syrian commander in charge of troops spearheading the major offensive against terrorists in eastern Syria. Nicknamed “the Tiger,” he played crucial role in ousting IS militants from the cities of Aleppo, Deir ez-Zor, Al-Mayadeen and, lastly, Abu-Kamal. Abu Kamal was the last major Syrian city in the hands of Islamists. Last week government forces, backed by Russian airstrikes, finally recaptured the city, clearing the militants from their last key redoubt on the Syria-Iraq border. Life is now steadily returning to normal in Abu-Kamal, where General al-Hassan’s troops have arranged the delivery of medical, water and food supplies, the Russian Defense Ministry said. The city had long been of paramount importance to the Islamists as they used Abu Kamal for ferrying militants from Syria into Iraq and vice versa during the previous stages of war against IS. 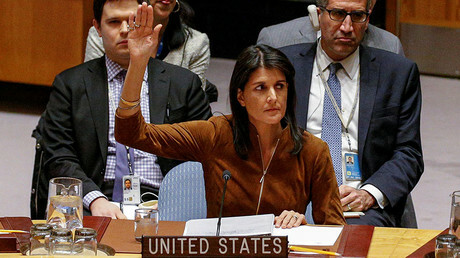 Its liberation heralds the long-awaited demise of the terrorist group in Syria. The Russian military command says Islamic State will be wiped out from Syria by year’s end. Meanwhile, the government’s latest victories allow Damascus and its allies to gain momentum and try to open ways for a post-war political settlement. On Tuesday, Russian President Vladimir Putin met with Hassan Rouhani of Iran and Recep Tayyip Erdogan of Turkey at the Black Sea resort city of Sochi to discuss a roadmap for a Syrian national dialogue involving the government and rival opposition forces. On the same day, the chiefs of general staff of Russia, Iran and Turkey met in Sochi to join efforts in fighting Islamic State and other terrorist groups in Syria, the Russian Defense Ministry said, adding that the military leaders also agreed to step up coordination in the de-escalation zone in Idlib. 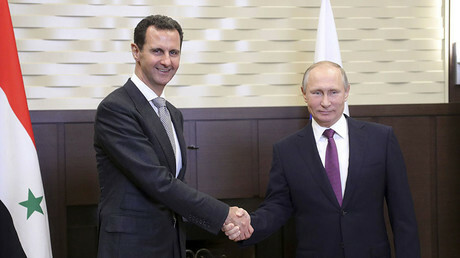 In the run-up to the trilateral meeting, Putin hosted Syrian President Bashar Assad in Sochi on Monday. The Presidents, who had last met in Moscow in October 2015, said that the military stage of the conflict was coming to an end, and agreed it is now time to talk peace. Putin also had an hour-long telephone conversation with Donald Trump, briefing him on Syrian peace efforts. “Both the parties expressed satisfaction with the phone call, which was practical and informative,” a Kremlin statement said. The White House said in turn that Washington reaffirmed its support for the Joint Statement of the US and Russia issued at the APEC summit on November 11. “We’re talking very strongly about bringing peace to Syria, very strongly about North Korea, and about Ukraine," Trump told journalists following the phone call with Putin.